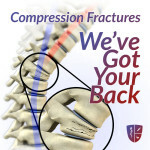 A vertebral body fracture is a fracture of a vertebra. These fractures can cause the eventual collapse of the vertebra itself, and are most common in the mid back. Risk factors for vertebral body fractures include osteoporosis, metastatic cancer, aging and being overweight. 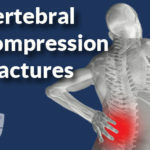 Patients with a vertebral body fracture may experience pain that is relieved by lying down and worsened by activity. Common symptoms include constipation, loss of reflexes in the legs and feet and sensory function problems. To diagnose the source of a patient’s pain, a physician will collect a medical history and perform a physical exam to rule out other conditions. This doctor may order an X-ray to confirm the diagnosis. Treatments available for this condition include non-steroidal anti-inflammatory drugs (NSAIDs), short-term use of opiate medication and short periods of bed rest. However, these approaches treat the pain but do not correct the underlying problem. Procedure options to strengthen the vertebra include vertebroplasty and kyphoplasty, and patients can adopt a calcium-rich diet to reduce their risk of developing osteoarthritis.